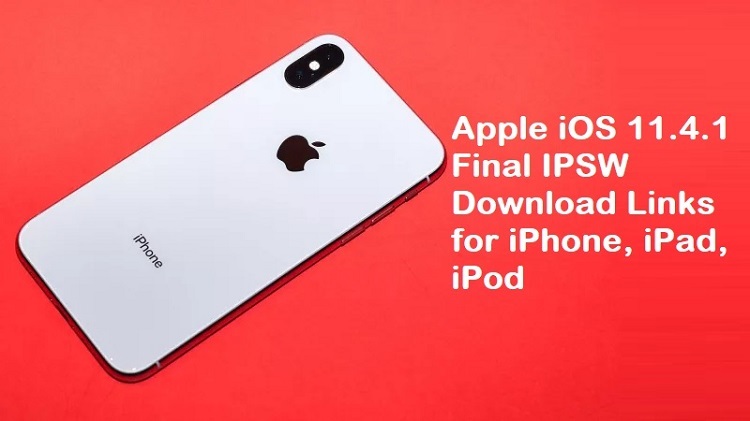 Apple has released the official full and final iOS 11.4.1 Firmware Version (Build 15G77) for iPhone, iPad, and iPod touch devices. The latest iOS 11.4.1 Update have brought improvements and fixes for iOS Firmware. 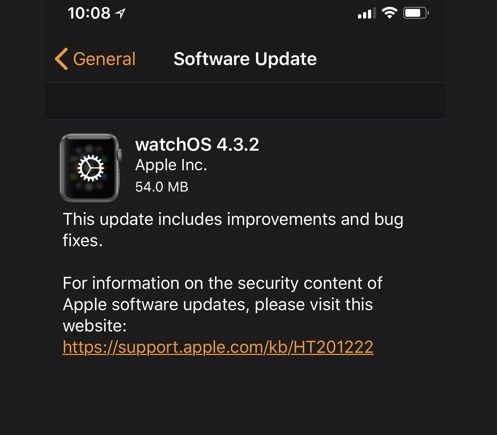 Apple has also released tvOS 11.4.1 Final Version (Build 15M73) for Apple TV devices and as well as watchOS 4.3.2 Final Version (Build 15U70) for Apple Watch devices. All these software and firmware updates are instantly available through Over-the-Air (OTA) process, which iDevice users can run from Settings app. To experience all new changes, features, and functionalities, iOS users can upgrade to the latest version for free. Here we are also sharing the Official iOS 11.4.1 .IPSW and tvOS 11.4.1 .IPSW Download Links for manual offline installation with iTunes. This update have also brought some minor performance improvements and bugs fixes. 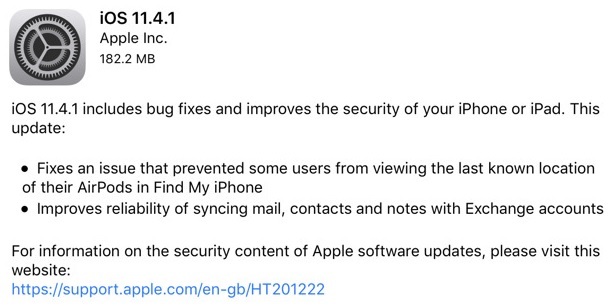 Apple iOS device users can instantly get the latest iOS 11.4.1 OTA Update automatically by simply navigating to Settings >> General >> Software Update option. Apple iDevice users can also perform a clean installation of iOS 11.4.1 Final Update using iTunes after Download iOS 11.4.1 Final Version via Direct Links available below. Currently, the official version of Electra iOS 11 Jailbreak is only compatible with firmware versions up to iOS 11.4. So users must wait for an update to Jailbreak iOS 11.4.1.